Set and forget while consistently dosing ALL trace elements. There is a reason why industry professionals choose MRC® Calcium Reactors and those same reasons should also be yours. The larger the system, the greater the demands. MRC® Pro Calcium Reactors were developed to use fine aragonite media, giving you infinitely more surface area resulting in a larger effective reactor. 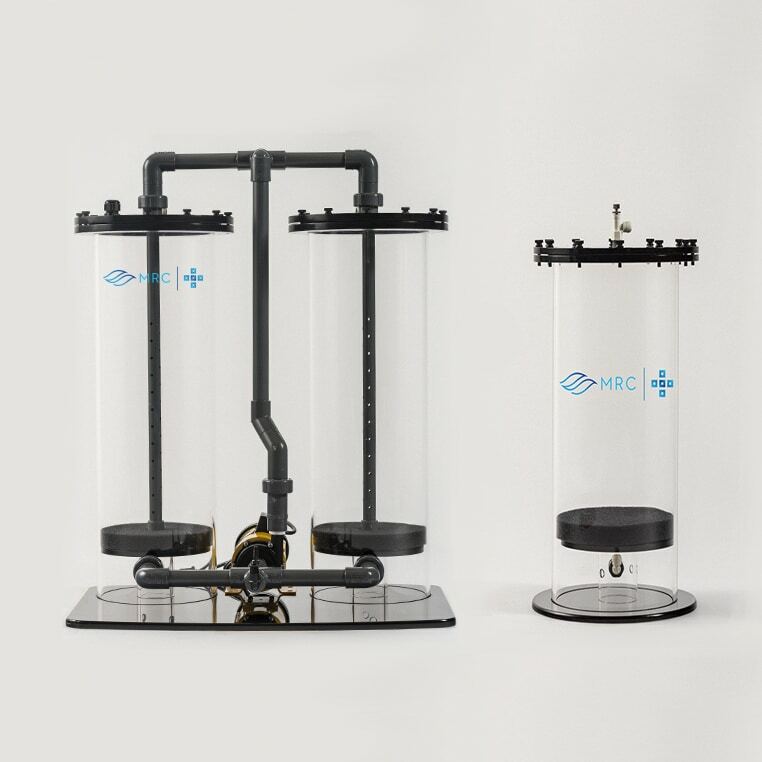 MRC® Pro Calcium reactors have been powering fully loaded reef tanks and professional coral farms since 2000; our reliability and performance is unmatched. Outgrowing your Pro Calcium Reactor? Don’t worry, even our Pro Series are upgradeable to meet your reef’s or facility’s needs. MRC® Pro Calcium Reactors dose the exact same building blocks that your corals are made of in the exact ratios found in nature, resulting in better growth and better colouration . This is why MRC® Pro Calcium Reactors have been the most stable way to provide for your corals’ elemental demands. We’ve set and maintained the standard since 2000 and we continue to innovate on top of that already solid foundation. MRC® Pro Calcium Reactors are designed and fabricated to meet the immense demands from commercial and large scale systems. 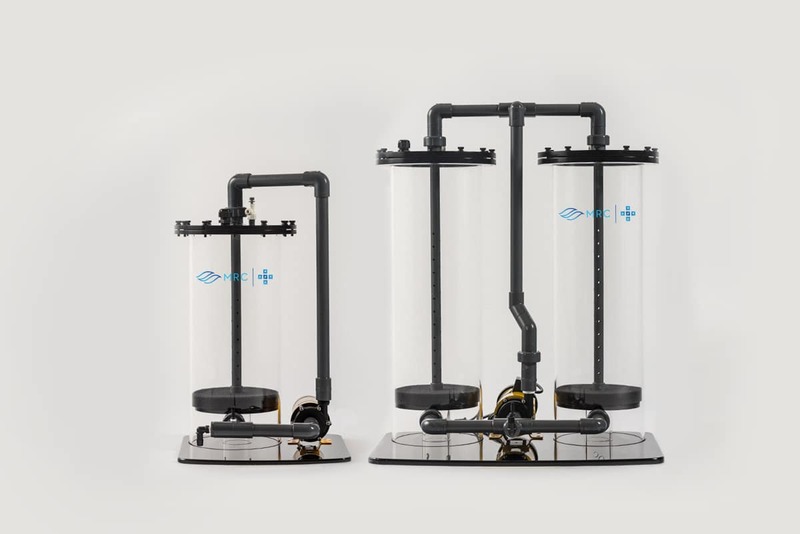 Our sturdy construction combined with the MRC spray bar technology results in the perfect solution for the demanding aquarist. 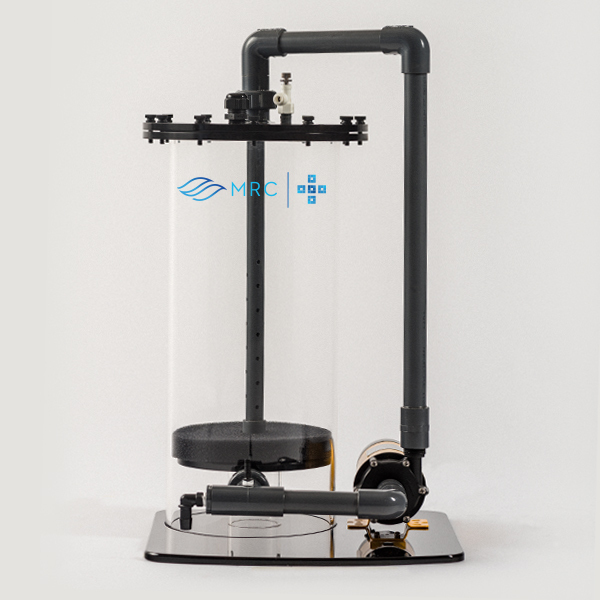 All MRC® Pro Calcium Reactors include the MRC spray bar, ph probe holder, feed hose lines and a Blueline recirculation pump. More effciency? More media? More Solutions! If you’ve got a need, we have an answer. 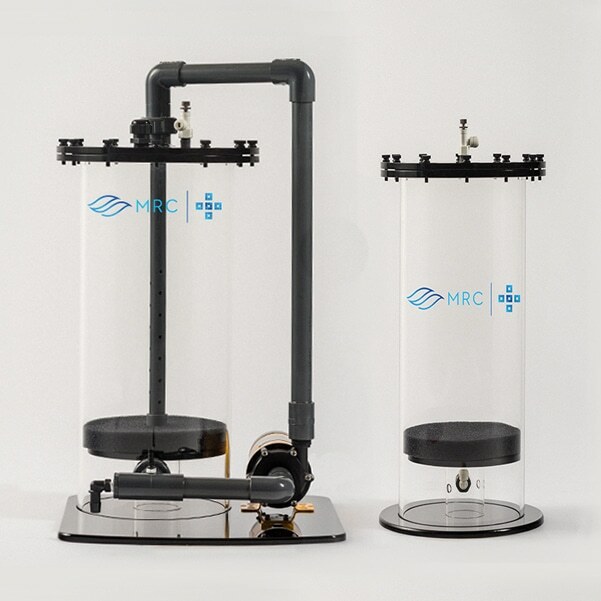 Purchase your Pro Calcium Reactor from an authorized MRC® retailer today.